Some general reading on mites of possible educational interest. The story can be freely used for educational purposes if properly referenced to the author and Wildlife Australian Magazine Autumn Issue 2017. 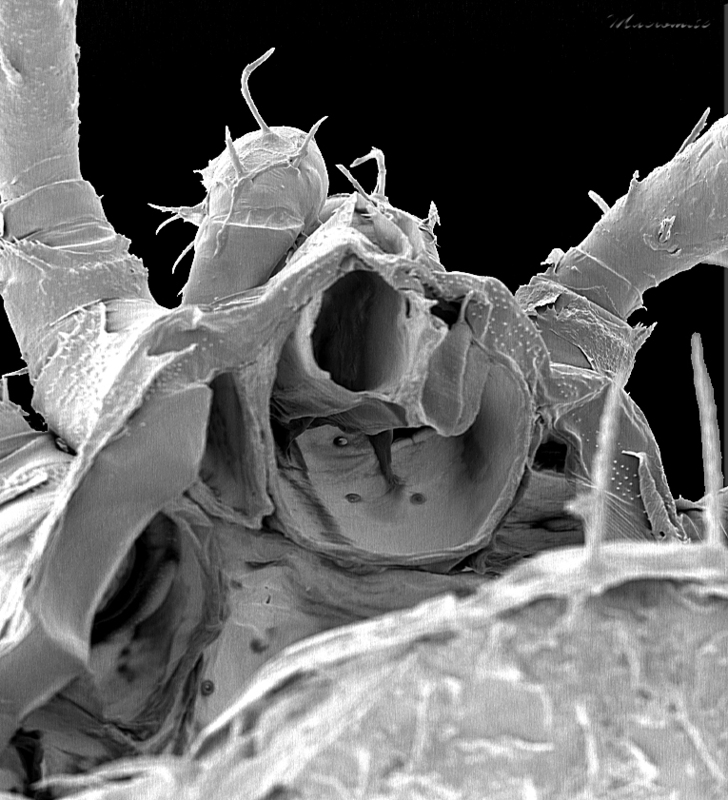 Details of the ventral cuticle of a mite harvestman Austropurcellia sp. I should probably entitle this post as an homage to Robert Burns’ poem ‘To a Mouse’, because this ‘best-laid schemes o’ mites an’ men, Gang aft agley’ (tacky true, but irresistible) has been an orphaned draft for more than two years, but then 2013 was truly gang aft agley. In any case, I wanted to congratulate Boyer & Router on their 2012 paper* advancing the study of a fascinating group of little-known arachnids, the Cyphophthalmi. Interestingly, the openings to the tracheal system are positioned behind the legs and the genitalia (segment VIII) as one would expect, but the juveniles have a series of spiracle-like structures in the soft pleural region of the opisthosoma. These structures do not seem to connect to any tracheal or duct system, but presumably have some function. Venter of Australian pettalid juvenile. Red arrow indicates one of the mystery organs. 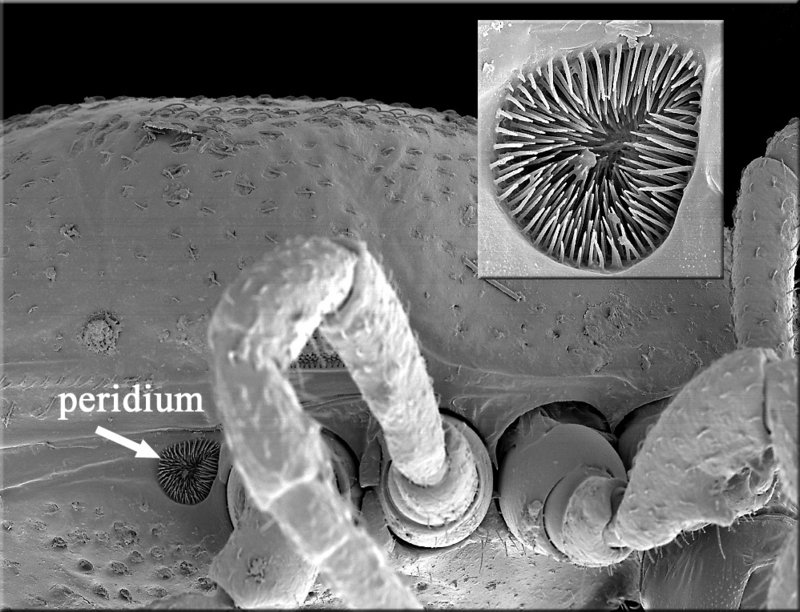 What makes these structures particularly interesting is they seem to be similar to the mystery organ on adult Allothyrus (Acari: Holothyrida) mites called the peridium. I think it looks rather like the tool I used to use to clean sparkplugs, but I can’t think how the mites could insert anything in such an awkward position. Perhaps it is an organ for releasing pheromones or allomones, but I never found an obvious reservoir associated with the peridium. Adult Allothyrus from Queensland showing peridium behind leg IV (and close-up). Well, hard to rule out convergence, but it is an interesting similarity between these small, mite-like opilionids and the rather large (for a mite) and ‘primitive’ Allothyridae. *Sarah L. Boyer and Catherine N. Reuter. 2012. 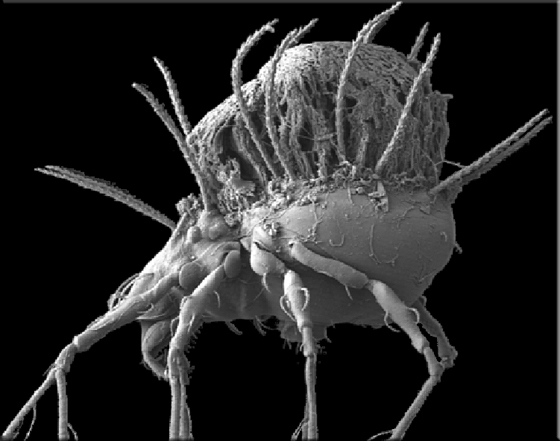 New species of Austropurcellia mite harvestmen (Opiliones, Cyphophthalmi, Pettalidae) from Australia’s Wet Tropics, with commentary on biogeography of the genus. In press, Journal of Arachnology. Journal of Arachnology 40.1: 96-112. Macromite has been more than a bit of a slacker this last year or so, both scientifically (only one paper published – a record low) and in social media. I blame the latter on Facebook which has eaten all my social media impulses and regurgitated them into several-weekly postings on the fauna and flora accessible to my point-and-shoot camera. Alas, that does not include mites. Also, I now live in the near outback: far from microscopes and internet access. My modem connection is both slow, expensive and unreliable and not conducive to rambling on about mites. That is a drag, but sometimes late at night the bandwidth is accessible and I am not asleep and that is true this post-ANZAC Day. Ergo, I would like to make a point about moulting in Mesostigmata that I don’t think I have ever published: Mesostigmata moult forwards! 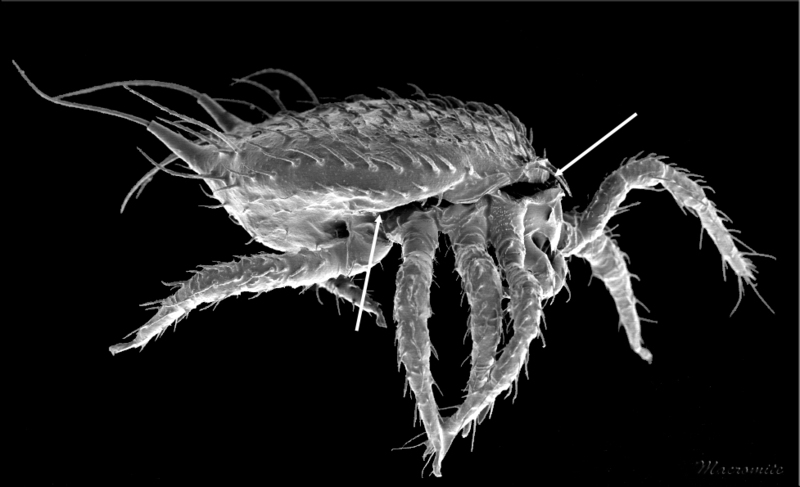 Well, at least this species in the reasonably early derived (I would say ‘primitive’, but I know I would be stoned by the cladistically correct) Sejidae, or at least what I think is best attributed to an undescribed species of Epicroseius, moults this way. I know because I was able to culture it by feeding it nematodes (its’s progenitors came from a sample of wood mulch on the University of Queensland St Lucia campus). I think spiders moult the same way, but at least some members of the Acariformes go their own way. Possibly this may be phenological support for the lack of sister-group status between the two superorders of ‘mites’. I do think that splitting the skin above the gnathosoma and other limbs is normal for Mesostigmata, but this hypothesis really needs to be tested against a variety of lineages. 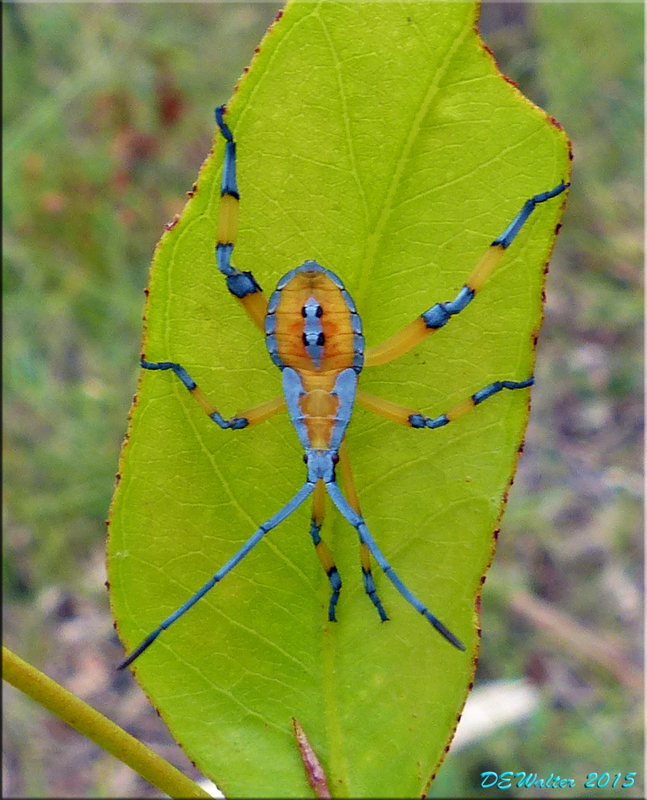 Meanwhile I will be wandering the back roads of Pie Creek, Qld, and learning to appreciate the larger charismatic microfauna including things like Clown Bugs – the habitat of Coreitarsonemus, the mites that eat the stink glands of leaf-footed bugs, or so it is asssumed! As the Good Book says: “To every thing there is a season, and a time to every purpose under the heaven” (Ecclesiastes 3:1). The last year hasn’t been the season for much new at Macromite’s Blog. Mites, alas, have been getting short shrift and I’ve been chasing platypus and butterflies and littering Facebook with the result. However, while I’ve been trudging around my new neighbourhood under the skeptical gazes of the kookaburras and wallabies, others have taken up the mite-art palette and brush with outstanding success. Sam Bolton (or ‘Bolten’ as The Guardian misspelled his name) struck first in classic greyscale with his ‘Buckeye Dragon Mite’. Such is the power of a good monster picture that I’m told his paper was the most downloaded from The Journal of Natural History last year. Let’s hope someone also cites the paper in a scientific journal or two. And now, Martin Oeggerli’s long quest to bring the wonders of the acarine world to the public’s attention has been fulfilled. Quite a spectacular feat, both in colour use and in attracting the attention of National Geographic, something that several acarologists that I know of were not able to do. 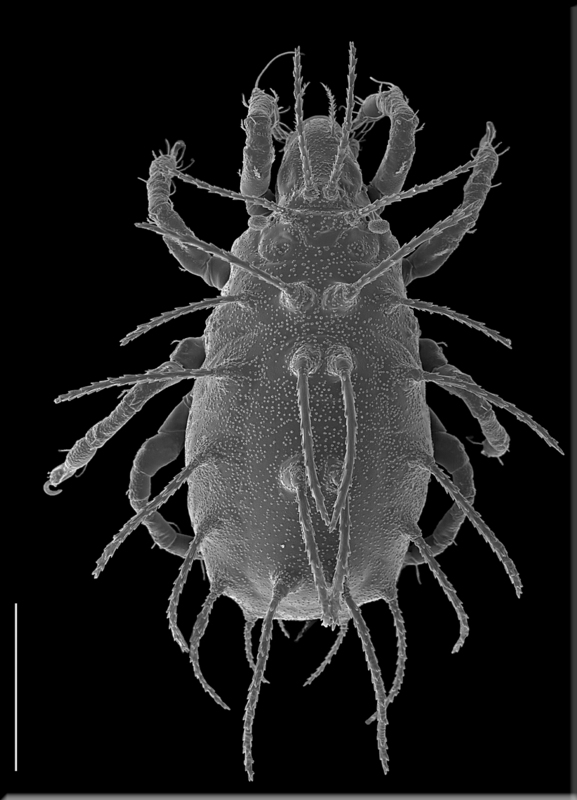 But if you compare Martin’s header image – a zerconid mite – with my more pedestrian zerconid image above, it is easy to understand his success. The text is by Rob Dunn (and The Inquisitive Anystid and I checked it for accuracy). Even I am feeling itchy after watching that, but at least the rumour they explode on your face has been put to rest. Almost always Orwell makes his points clearly and with passion. I now feel a bit chastised at my writing and terrified of using ‘dying metaphors’, ‘verbal false limbs’, ‘pretentious diction’ and ‘meaningless words’. I especially don’t want to use meaningless words. That same day, I received a request for help with the etymology of a genus of mites, Anystis von Heyden, 1826. I was at a loss, my books were of no help, and Google failed. I’ve previously posted on the psychic perils of reading Karl von Heyden’s mind. Anystis seemed to be without meaning. This morning, though, after a long walk taking poor pictures of macropods and beetles, the verse from Ecclesiastes bobbed-up in my memory along-side Anystidae – a family of famously swift runners. Common names include ‘whirligig mites’ in North America and ‘footballers’ in Australia (don’t ask me to explain Australian Rules Football, but even a few minutes of watching will convince you that the players in colourful jerseys spin around with abandon much like the mites). Could Anystis be a name, not from the Latin or Greek, but of something or someone fast in the past? My friend Bruce Halliday (at what is left of the CSIRO at Black Mountain) had sent on a list of von Heyden genera and from my limited knowledge, his names indicated an interest in Greek history. 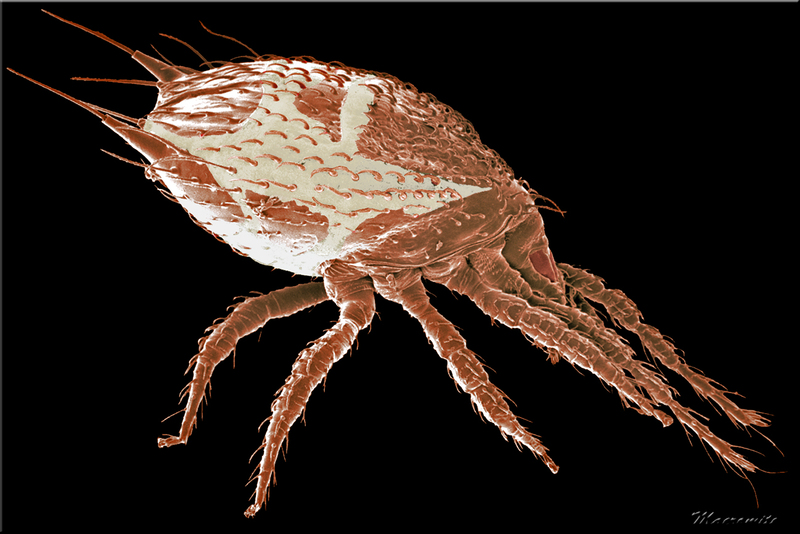 For example, Cunaxa a genus of predatory mites may be a reference to the Battle of Cunaxa reported on by the Greek mercenary Xenophon. With the proper modifiers, Google now came to the rescue with a passage from a delightful book on ‘Running through the Ages’ by Edward Seldon Sears: “The Spartan runner Anystis and Alexander the Great’s courtier Philonides both ran 148 miles (238 km) from Sicyon to Elis in a day.” (Sears 2001). This seems to be derived from Pliny in his Natural History, who thought this run (1305 stadia) was more impressive than the better-known dash of Philippides from Athens to Sparta (1140 stadia) to report on the battle of Marathon. I take this race as strong inference of what von Heyden was thinking when he proposed the genus Anystis. Anyone who has watched these mites must be impressed with their speed, and although the ancient Anystis exhibited both speed and stamina, I now feel some confidence that I am using the generic name in a non-meaningless way. von Heyden, C. H. G. 1826. Versuch einer systematichen Einteilung der Acariden. Isis, 18, 608-613. Sears, E.S. 2001. Running through the Ages. McFarland: Jefferson, NC. One wonders what was going on in the mind of Carl Ludwig Koch when he proposed the genus Carabodes in 1835. The Greek root karabos also gives us the familiar carabid beetles and apparently was used by the ancient Greeks to refer to a beetle of some sort – and also for a shell-like boat. 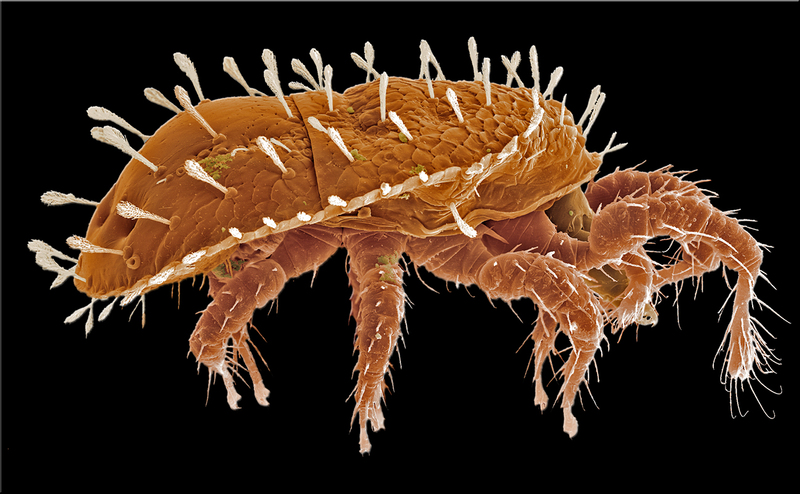 The Greek suffix –odes refers to similarity or likeness, so I must assume that Professor Koch found his beetle mite more beetle-like than most. Then again, maybe he thought it looked more like a boat. There is no mystery, though, why Marcel Reeves called the above species polyporetes. Although he found this species in moss, lichens, various litters, and rotting wood, it seemed especially common in bracket fungi including Tramtes versicolor (from which this specimen was collected). Reeves (1991) cultured this species on the polypores Oxyporus populinus, Lenzites betulina and Laetiporus sulphureus. At room temperature development took 10-12 weeks. Room temperature is a rather vague term, but presumably 20-25 C, a much higher temperature than would be expected in bracket fungi in a northern forest. 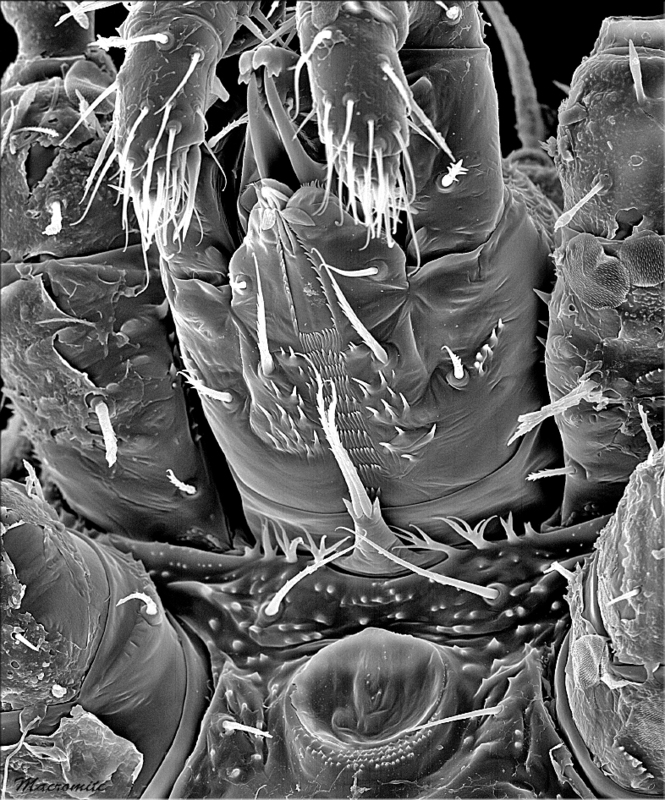 The mite below, Carabodes labyrinthicus (Michael, 1879), extends well up into the Arctic tundra of northern Canada and Alaska, as well as well up the trunks of trees in more southerly areas (Andre 1975). The labyrinthine name undoubtedly comes from the tortuous tuberculate ridges on its back. 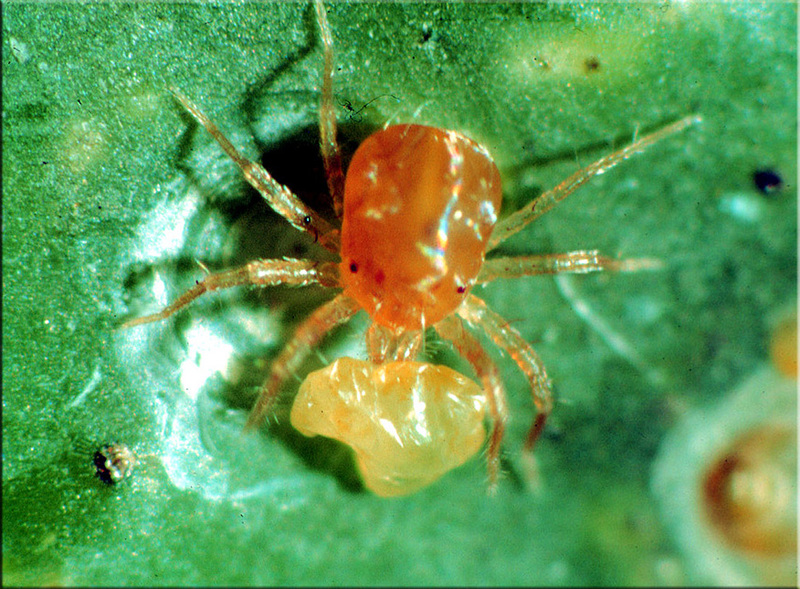 Schneider (2005) placed this mite in her phycophage/fungivore feeding guild – it feeds on lichens and algae. When they aren’t burrowing in fungal sporocarps, lichens seem to be a preferred host for Carabodes species. In another laboratory study, Serge Ermilov introduced adult Carabodes subarcticus Trägårdh, 1902, to culture vials with lichens and algae. Adults fed primarily on Cladonia lichens and less so on Pleuroccocus algae. Larvae appeared 4-5 weeks later and burrowed into the lichen thallus. New adults appeared after 86-145 days, similar to the developmental period (69-202 days) of Carabodes willmanni Bernini, 1975, also reared on Cladonia lichens (Bellido 1990). Andre, H. 1975. Observation sur les Acariens corticoles de Belgique.” Fondation Universitaire Luxembourgeoise. Serie Notes de Recherches 4: 5–31. Bellido, A. 1990. Caracteristiques biodemographiques d’un acarien oribate (Carabodes willmanni) des pelouses xerophiles, Canadian Journal of Zoology 68: 2221–2229. Reeves, R.M. 1991. Carabodes niger Banks, C. polyporetes n. sp., and unverified records of C. areolatus Berlese (Acari: Oribatida: Carabodidae) in North America, Canadian Journal of Zoology 69: 2925–2934. Schneider, K. 2005. 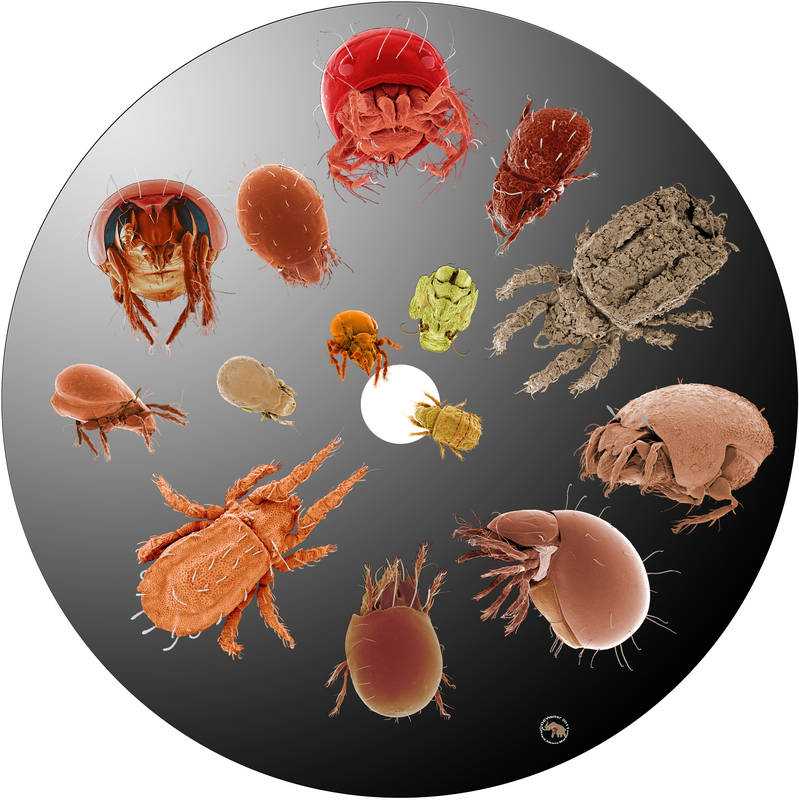 Feeding biology and diversity of oribatid mites (Oribatida, Acari). PhD thesis, Technical University, Darmstadt, Germany. 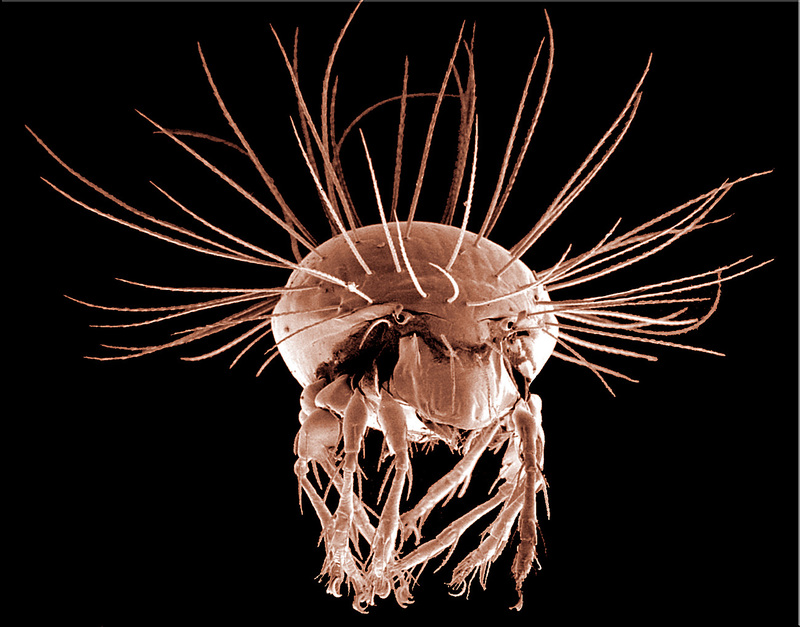 How many mites can dance on the head of a pin? The answer, of course, depends on the pin and the mites. In this case the pinhead is about 2.5 mm in diameter and the mites a collection of oribatids from Alberta with plenty of room left over to dance. The question, I suppose, is a bit belaboured, but I’ve frugally wrung one paper and two talk titles from dancing on a pinhead. Admittedly the journal is a bit obscure (sorry Record of the WA Museum) and the talks on either side of the Pacific, so I doubt anyone noticed the duplication. 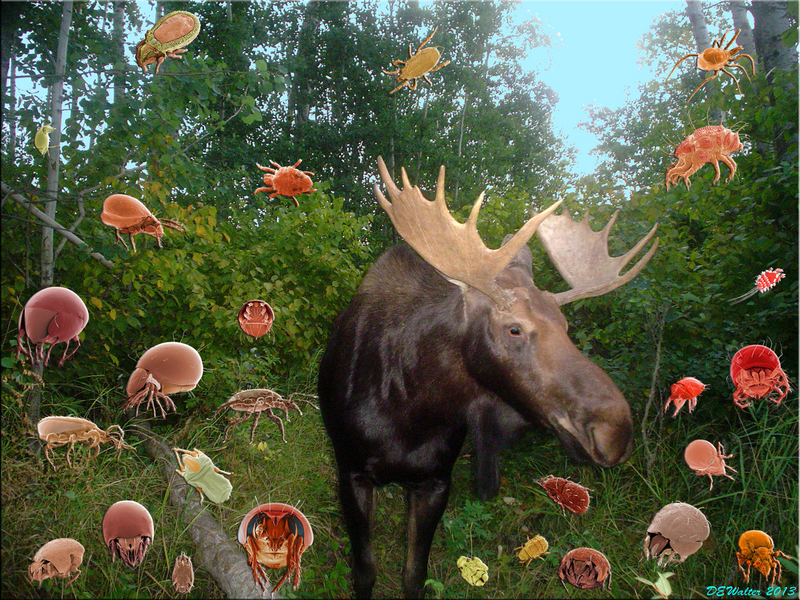 All or most of these mites have appeared here before and most were collected either at the Meanook Field Station or at our Moose Pasture. Speaking of which reminds me of another flight of fancy that I have used in at least four talks and one book – the Moose Pasture Miteome. The mitochondria people already laid claim to the succinct ‘mitome‘ for their mitochondrial genome database. Drat. Well, we’ve laid claim to ‘miteome’ for the unseen diversity of mites that form a substantial part of the weft and warp of the diversity tapestry. I’ve just sent off the corrected proofs of Mites: Ecology, Evolution & Behaviour (2nd Edition). Life at a microscale to Springer and the book should soon be available at an almost reasonable price. 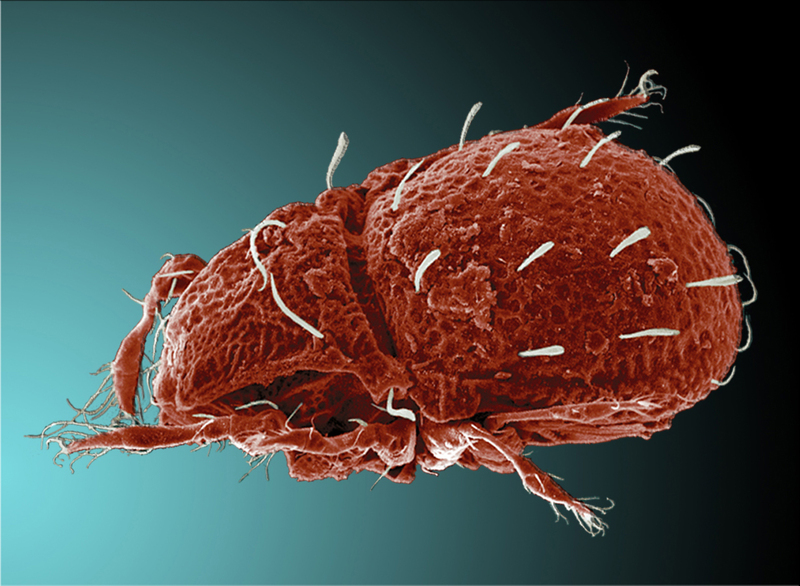 If you are interested in stories about mites – with lots (well over 100) of pictures – then you may find it of interest. 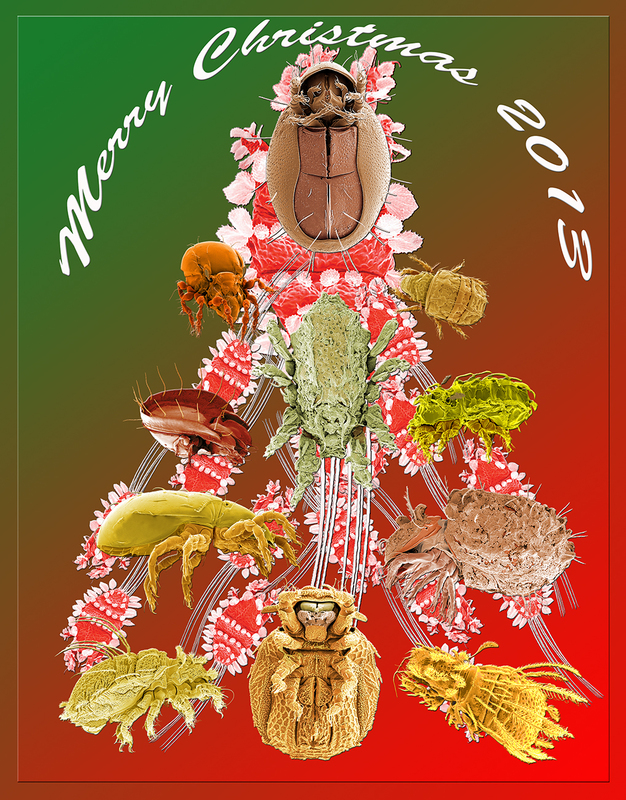 As for me, though, I’m beat and have promised myself never to write another book on mites. I think I’ve said about all I can and now it is time for someone else to take up the load. 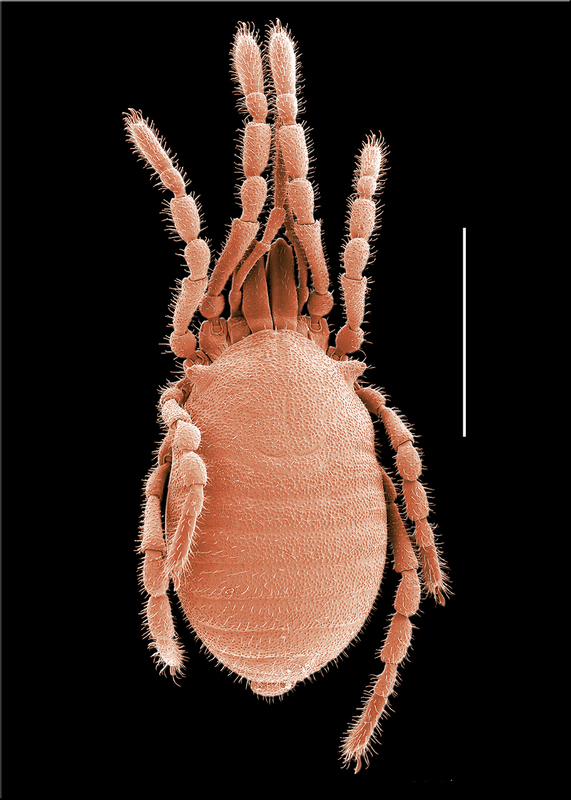 Oribatid mites are a dominant component of the microfauna of forest soils throughout the world, but they also climb trees. The last post’s Neotrichozetes is one such arboreal beastie as is this week’s Tuparezetes. One clue to its arboreal life style is the globular head of the sensillus (what oribatid workers call the bothridial seta in a trichobothrium). Another is the long stiff-haired look. These shots are of an immature Tuparezetes, probably a tritonymph. 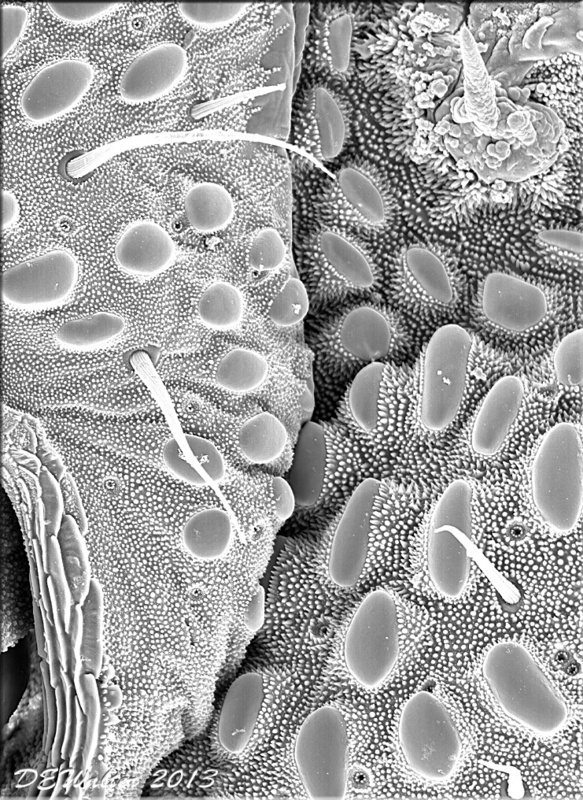 All stages can be found on shrubs and trees with densely hairy leaves in cool temperate to tropical rainforests in eastern Australia and in New Zealand where they graze on fungi growing among the hairs. The genus was described by AV Spain in 1969 and the type species, Tuparezetes christineae, was collected from Leatherwood or Tupare (hence the generic name): Olearia colensoi, a kind of shrubby daisy in the subalpine zone of New Zealand. He also described a second species, Tuparezetes philodendrus, from Nothofagus solandri and Olearia lacunosa. In Australia, I collected the genus (probably undescribed species) from Blanketleaf (Bedfordia arborescens) in cool temperate rainforest in Victoria, from canopy fogging in subtropical rainforest in Lamington National Park and from an unidentified tropical rainforest tree near Paluma in Queensland. Adult Tuparezetes showing wax cap (modified from Hunt et al. 1998). I’ve always considered Alister Spain’s descriptions a model of how a taxonomic paper should be. As well as a detailed morphological analysis the genus and species are based on numerous collections and there is a section on the ecology of each species including the identification of fungal species found in gut contents. 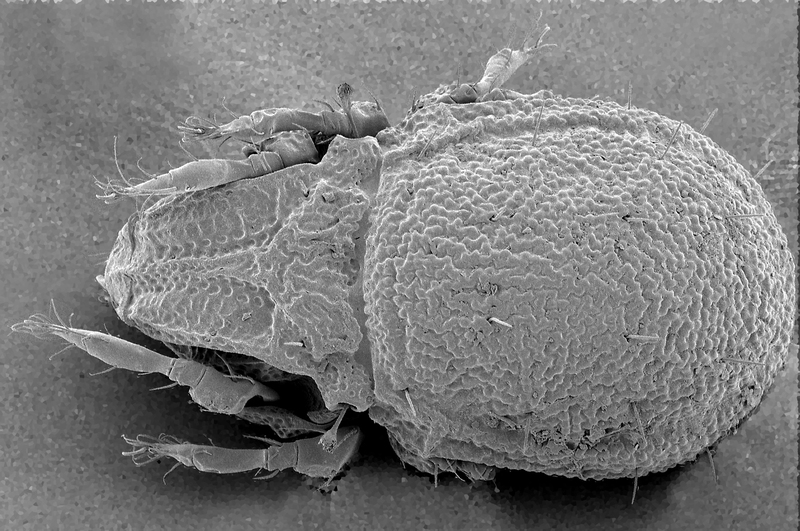 In not sure that I agree with Alister’s explanation for the most bizarre feature of this mite, though – the deep waxy crest present between the dorsal setae. He suggests this is an arboreal adaptation related to water balance, but the hairy leaves that this mite inhabits should have a well developed boundary layer and good humidity retention even in high winds. Still, I have no better hypothesis to offer. Hunt, G., Colloff, M.J., Dallwitz, M., Kelly. J. & Walter, D.E. 1998. 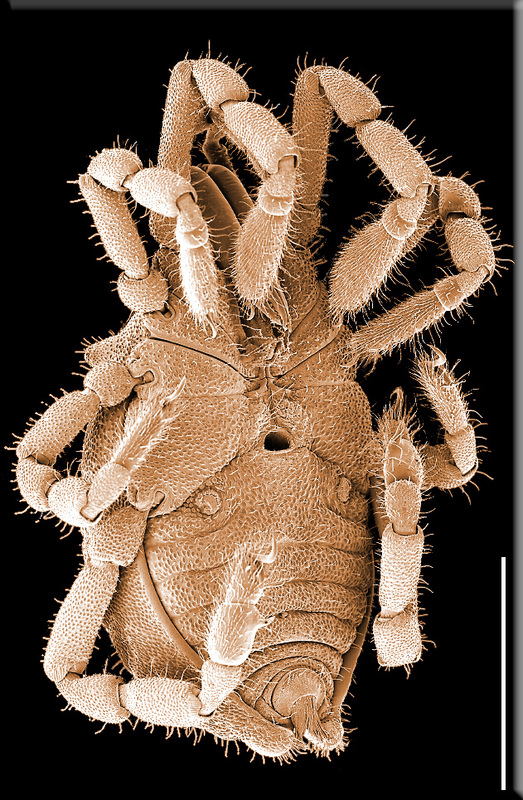 An interactive key to the oribatid mites of Australia. CSIRO Publishing, Collingwood, Victoria. (Compact Disk and User Guide). Spain AV. 1969. A new genus and two new species of arboreal Oppiidae (Acari: Cryptostigmata) from New Zealand. Pacific Insects 11: 155-163. I received a request for information on neotrichy in oribatid mites from a colleague this morning. 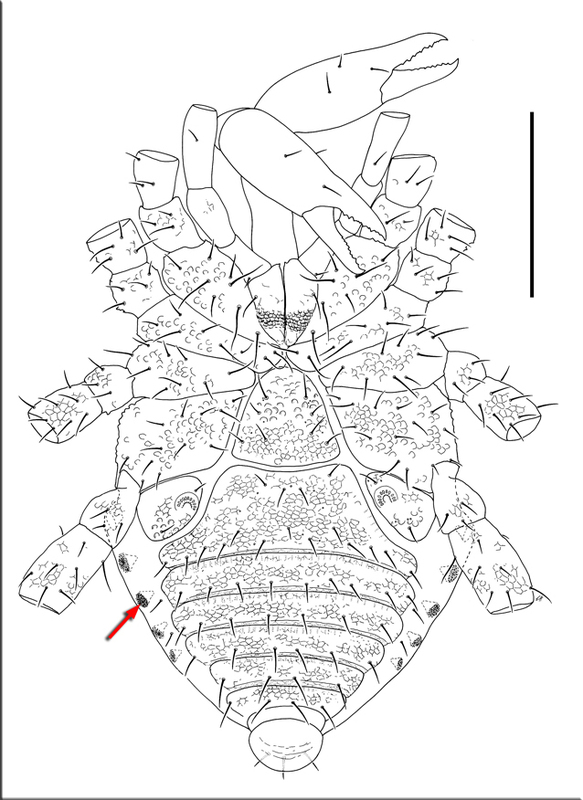 I wasn’t able to answer it with any authority, but it did remind me of this interesting oribatid mite in the genus Neotrichozetes. 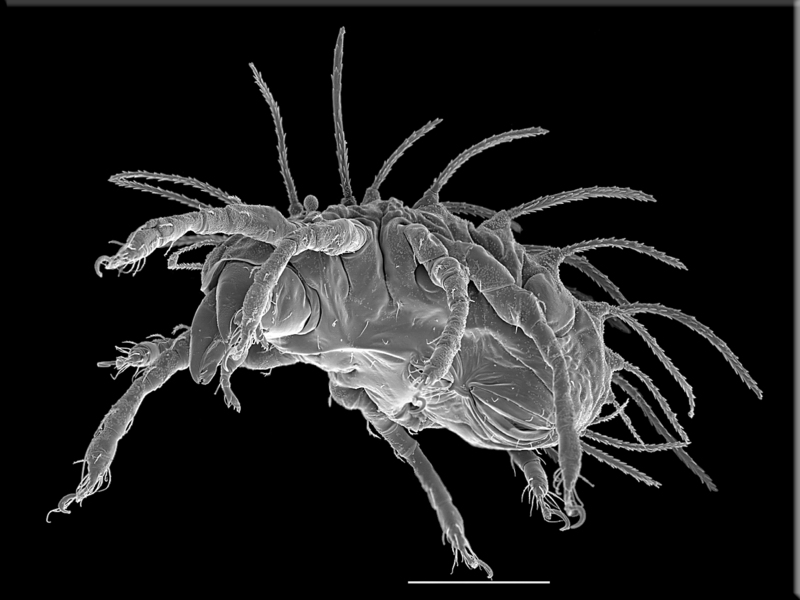 ‘Neo’, of course, means ‘new’ and ‘tricho’ is Greek for ‘hair’, so if I were forced to generate a common name for this mite, I suppose I might try the ‘New Hair Mite’. Perhaps not, though, as this would imply a hypothesis that the hairs are new editions to the proper number of hairs a mite should have (the state of having the correct number of hairs is called holotrichy). Neotrichozetes is probably neotrichous, most of its apparent close relatives have no more than 14 pairs of notogastral setae, but there is as yet no robust phylogenetic hypothesis to support this tricky interpretation. Zetes, for those who may be wondering, was a winged being and a son of the North Wind (Boreas) and Oreithyia, a young lady who made the mistake of wandering too far from home. Many mite genera end in ‘-zetes‘, which seems to come from the Greek ‘zetetes’ or ‘searcher’ and I assume is related to Zetes, the Argonauts and their quest for the Golden Fleece. Perhaps ‘Hairy Canopy Wanderer’ would be a better common name.